Fabulous and refined! Lots of great flavors going on in there. This looks and sounds delicious! I adore Mexican food and will be checking out the cookbook. Thanks for the recipe! Gorgeous, healthy, and super authentic-looking. Wonderful, Lisa! It looks scrumptious! You cook really well, Lisa. This looks so great! I always struggle with ideas for fish so this is perfect. 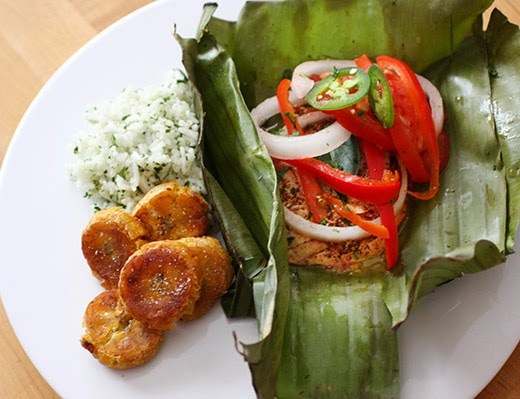 I'm crazy about plantains, too, so this one is a big winner. What a gorgeous -- and tasty! -- way to prepare fish. I love Mexican (and all of its cousins -- Tex-Mex, New Mexico, etc.) food too. Really nice-- thanks. Sally, I hadn't read the Amazon reviews until now. I did see some errors and typos in the book, but honestly, I see errors and typos in every cookbook I read. One comment I read mentioned that detailed instructions aren't given for every part of a dish. It's true, I think the book does assume the reader will know how to cook some things or how to put things together. And, the book covers so many dishes, any added detail would have made it a gigantic volume. Maybe this book is better suited to readers who are already somewhat comfortable cooking Mexican food. Very true... probably it is the case. I think that classic Italian cookbook, "The Silver Spoon" is by the same editors, and some recipes were half a page long, even though they were actually pretty complex. i eat a lot of mexican food too, though i think it might more appropriately be described at mex-american. i'm so unfamiliar with many of their authentic ingredients! i think this sounds amazing. Well that sounds like a cookbook I definitely need! Authentic Mexican food fascinates me, especially since it is so hard to find here in the US! THis dish looks amazing. Dear Lisa, That dish certainly looks delicious and fun!! I'm with you and Mexican food. I pretty sure it dominates our plates. Beautiful dish. And so fun cooking with banana leaves. I miss having a good Mexican restaurant close by (or 5) but here we have a taco shop and that's it. I need this book, obviously. 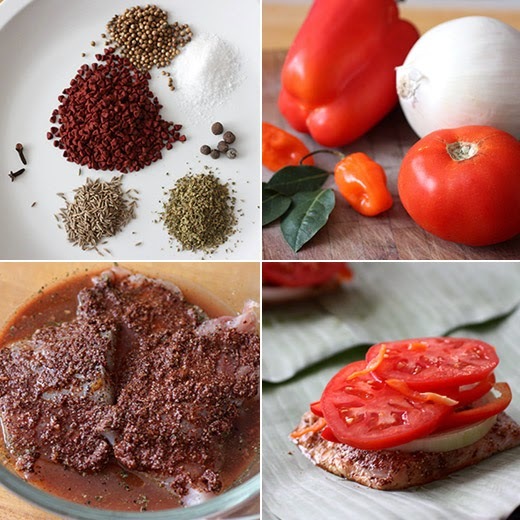 The recipes you mentioned made my heart skip a beat. We love Mexican food too! It's definitely one of our favorite cuisines and we have something at least once a week. This dish looks delicious and I'll be checking out this book. Re reviews of the book: really difficult to catch every error...I did one for my family years ago and have found at least 6 errors since. Some not worth mentioning but a couple actually missed ingredients. As I did the editing myself, it was my responsibility, but a good editor should catch a lot of mistakes. At any rate, this dish looks marvelous, Lisa. 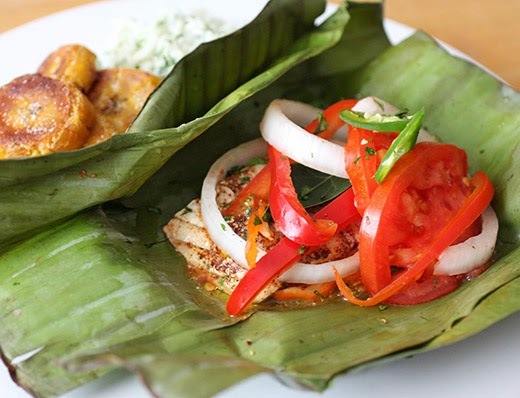 I've cooked fish in parchment many a time, would be much more fun with banana leaves! I love Mexican food and your dish sounds great and really is pretty. Hi Lisa, Mexican food is my favorite, love the spice combination in this dish, I bet it was delicious! Mexican food is a favorite of mine too Lisa. Marion not so much so I've been avoiding it lately. I must say though I have never heard of this dish or this book for that matter. It sounds so intriguing. It sure looks delicious. I'd love to try it one day!